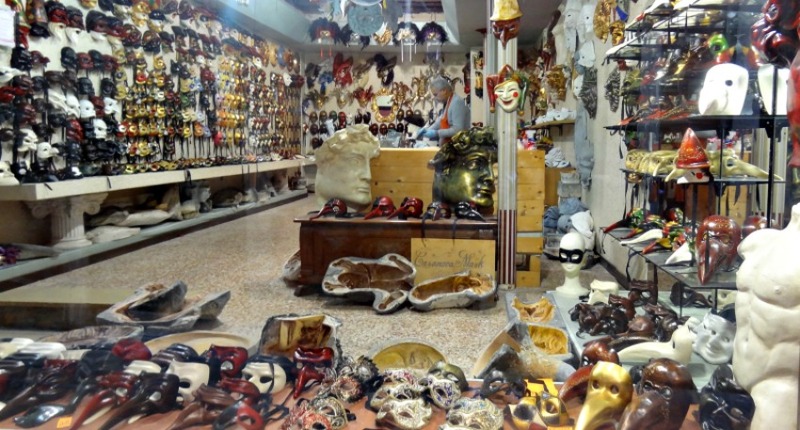 What are the secrets of Venice Italy Shopping? Venice Italy shopping areas are fantastic because you can shop till you drop in the history of this amazing city. So, what are the secrets of doing your shopping in Venice? Venice Information will save you money and time. I provide personal answers and others can give tips about their shopping experience. You choose better souvenirs and will get the best tips, do’s & don’ts. I’m your guide for shopping in Venice. I will suggest some places. And yes,, you will find many gift shops. However, it's also a paradise for shoppers interested in fashion. Perfect for a City trip! I show you the best shopping areas, where to find the nearby Supermarkets? Next, to all the kitsch and touristic goods, there are also quality products and souvenirs available in Venice. 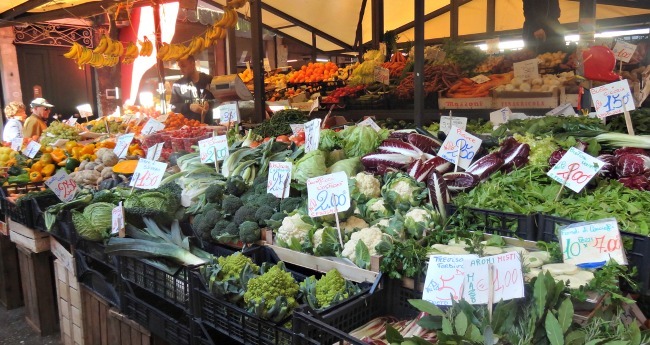 And if you search into hidden alleys, you can find the best stores with local food and products. Far away from the tourists, you might find shops with unique local souvenirs. 2. Name: Jesurum: A shop with triumphant exquisite lace and embroidery. Founded in 1870. The firm acted as a first trade school for poor girls. Address: Piazza S Marco 60-1, Marco S.
3. Name: Venice Pavilion Bookshop: Excellent selection of multilingual literature and miscellany focusing on Venice. Also reserves as a tourist information point and box office for cultural events. They use it also during the Venice Biennale. Address: Palazzetto Selva, Giardinetti Reali, S. Marco 2. However, more interesting are the traditional local products, lace, hand-printed fabrics, old glass beads, handmade marbled paper and other kinds of Venetian crafts. Of course, those who are looking for a classic gift, you should buy a carnival mask or a vase or bowl of Murano glass. The world-famous glass works of Murano! And since Venice Italy shopping is also reflected in the culinary souvenirs, these must not be forgotten. Cheese, ham, wine, vinegar and olive oil. Usually, the shops are open around 9 am and closing between 12:30 and 15:30. Because of a siesta. Then the shops open again until 8 pm. Many shops are closed on Monday morning. It is lovely to go shopping in Venice Italy! I have a shopping tip! When you stay outside Venice in a hotel, holiday house or a campsite in the city of Treviso is also an excellent shopping experience! 1. Glassware: Impress your friends at home with a Murano chandelier. 2. Gourmet Food: For something authentically Italian, try virgin olive oil flavored with chili peppers or pasta in the shape of gondolas and masks. 3. T-shirts: The essential guaranteed souvenir of Venice, sold at the street stalls. 4. Masks: A mind-boggling array of masks, traditionally made for Carnival in paper-maché ceramic and leather. 5. Marbled Paper: You can buy swirls of pastel hues for covering books or simple as beautiful wrapping paper for gifts. 6. Beads: All manner of beads, from frosted glass, ceramic or the traditional murrhine mosaic. 7. Italian Wine: Take advantage of lower prices and taxes by stocking up on locally produced wines. 8. Fabric: Lace is the most Venetian of materials, but beautiful linens and velvets are also good value. 9. Silverwork: Photo frames, letter openers, and teaspoons make lovely gifts for friends. 10. Clothes: All the top fashion names you can find in Venice Italy. Have A Great Story About Shopping in Venice? Share it! Write about it here! Display your own story about your Shopping Experience. Writing skills? Your comment will appear on a new webpage. Make it as long as you want with photo's and your story. You have read about Venice Shopping. There are enough shops to explore, as you can see. Please click on the links to explore my site more.